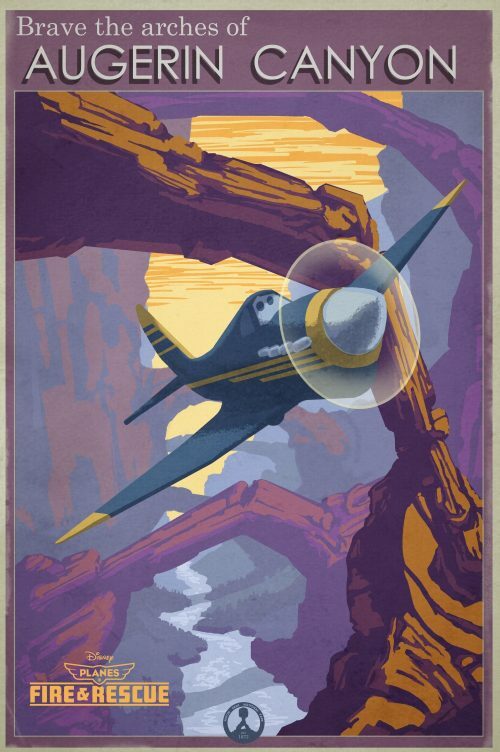 Last year saw the Cars spin-off, Planes, fly into cinemas. Now we can go and see the sequel. It’s still have quite a wait until it hist the Silver Screen! 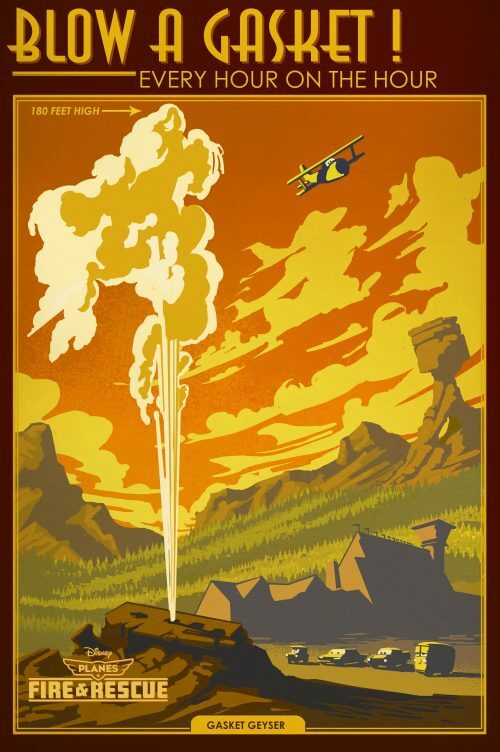 In the meanwhile, we have been sent over the first trailer as well as some “vintage posters” to publicise some of the great things you can get up to if you visit the historic Piston Peak National Park. 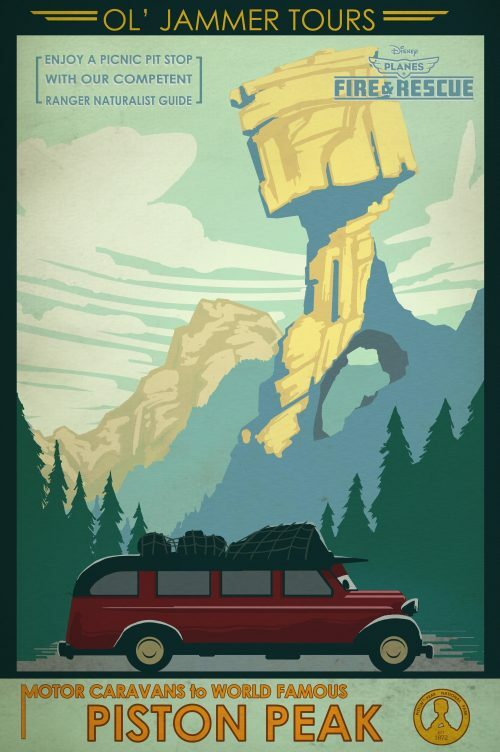 If I was a car, I’ll love to see some of the sights that will amaze you in the park. 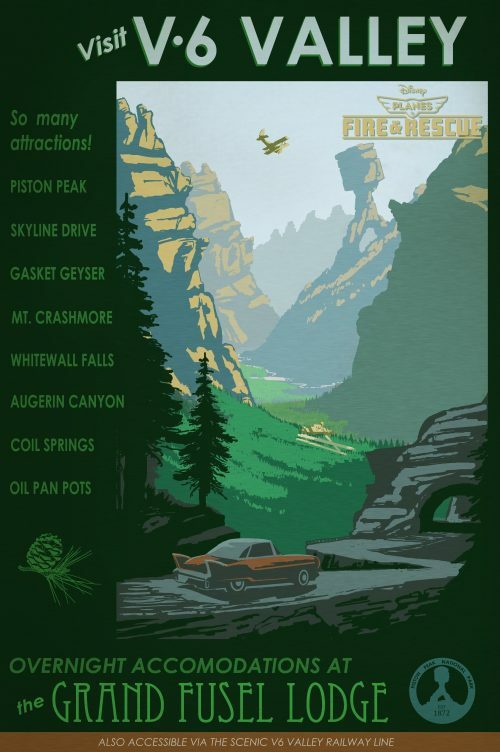 Piston Peak and Gasket Geyser are a must. 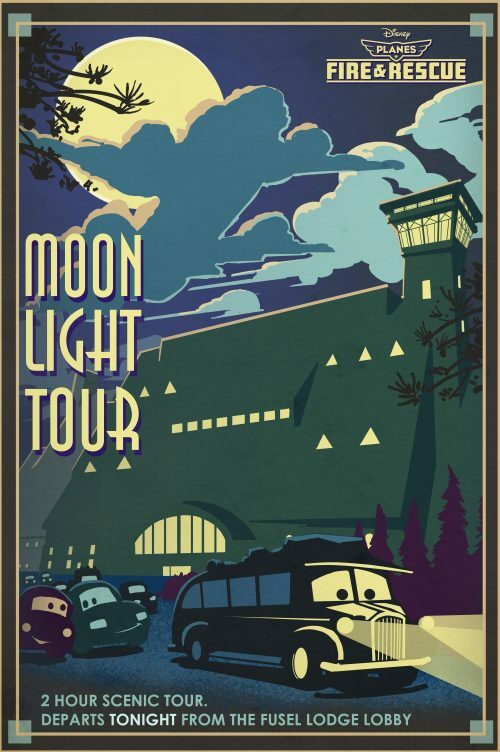 Not only that, you can also join two hour moonlight tour of the park. You don’t need to book as the tours happen every day. just meet up at the Fusel Lodge Lobby. 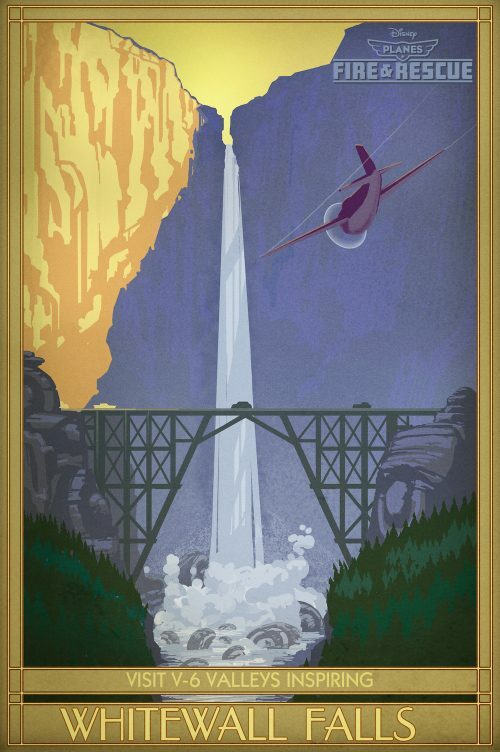 “Planes 2: Fire & Rescue” is a new comedy-adventure about second chances, featuring a dynamic crew of elite firefighting aircraft devoted to protecting historic Piston Peak National Park from raging wildfire. When world-famous air racer Dusty learns that his engine is damaged and he may never race again, he must shift gears and is launched into the world of aerial firefighting. Dusty joins forces with veteran fire-and-rescue helicopter Blade Ranger and his courageous team, including spirited air tanker Dipper, heavy-lift helicopter Windlifter, ex-military transport Cabbie and a lively bunch of brave all-terrain vehicles known as The Smokejumpers. Together, the fearless team battles a massive wildfire and Dusty learns what it takes to become a true hero. Flying into UK cinemas cinemas August 8th, 2014.